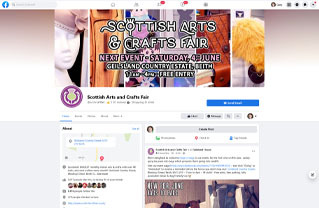 There are so many photos of the fantastic crafts on offer at the Ayrshire Arts and Crafts Fair that there simply isn't enough room to hold them all here. We add new galleries to our Facebook page every month so why not pop over and check them out? The most recent Facebook photo gallery is shown below.